LIMBO is perhaps one of the most mysterious games you’re ever likely to encounter. Even the developer’s description is cryptic: “Uncertain of his sister’s fate, a boy enters LIMBO,” but don’t let that put you off. LIMBO, created by Playdead (an independent game studio based in Copenhagen), is a dark, disturbing, award-winning masterpiece, and has finally landed in the Mac App Store. You may not think this is significant, but once you play the game for a few minutes, I bet you’ll say to your self “My god. This is the coolest game I have ever played.” If not, well… I apologize? While it’s up to you to decide if the game is up your alley, it is certainly a necessary deviation from most traditional, run-of-the-mill Xbox games out there. It’s amazing that Playdead has managed to release LIMBO for so many platforms, including Xbox 360, PS3, Windows and now Mac. But since the game mechanics aren’t overtly complicated, it might have been easier to port than, say, Halo would be. Hopefully, we’ll be seeing LIMBO on iOS and Android in the future. 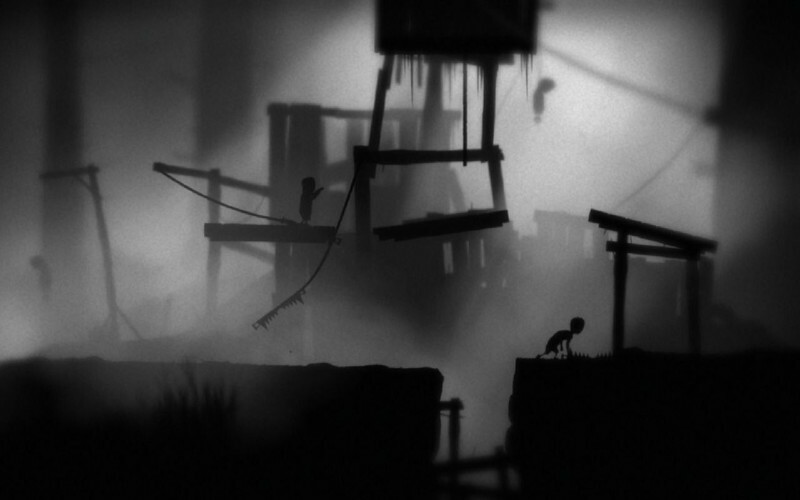 As far as gameplay goes, LIMBO is very unusually structured, with zero text prompts or instructions. You simply have to guess that you need to use the arrow keys and eventually get the hang of it, as you start solving constantly evolving physics puzzles. It’s noteworthy that this game is also entirely in black and white, which must have been a major challenge for all of the designers involved. The game takes on a journey of a boy that transverses through the ‘horrible world’ challenged by obstacles which gradually more difficult and more hostile (see video interview at the bottom with Mads Wibroe, the producer). Somewhat influenced by film noir, the game is a solitary, dark, black, silhouette filled journey filled with soft depth blur to describe mood. No text, no music, in “Limbo” you are in the game, alone, in the dark. You can check out all of TNW’s favorite experimental games and apps here.